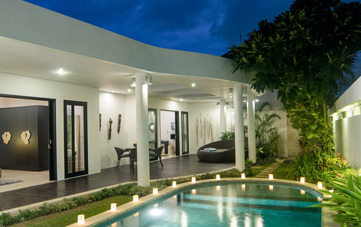 From $ 247 $ 197AUD per night We have direct contracts with most villa owners. We don't add any booking fees. We are 100% transparent with no nasty surprises. 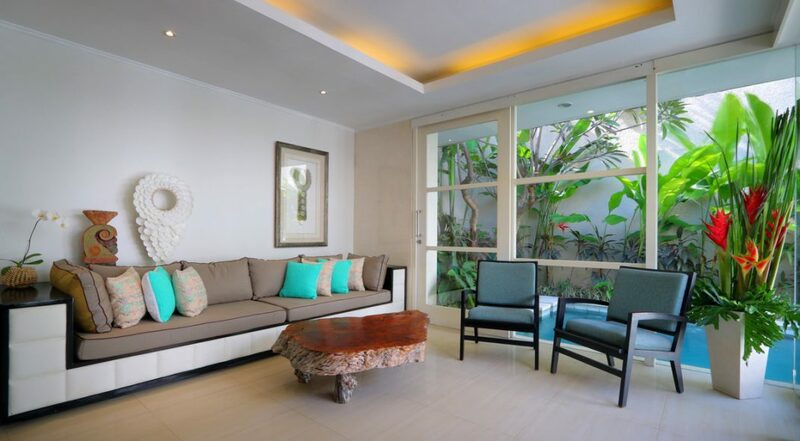 Villa White Pearl is a wonderfully designed 2 bedroom Seminyak holiday villa rental, perfectly situated along the most fashionable stretch of Seminyak, Jalan Petitenget. 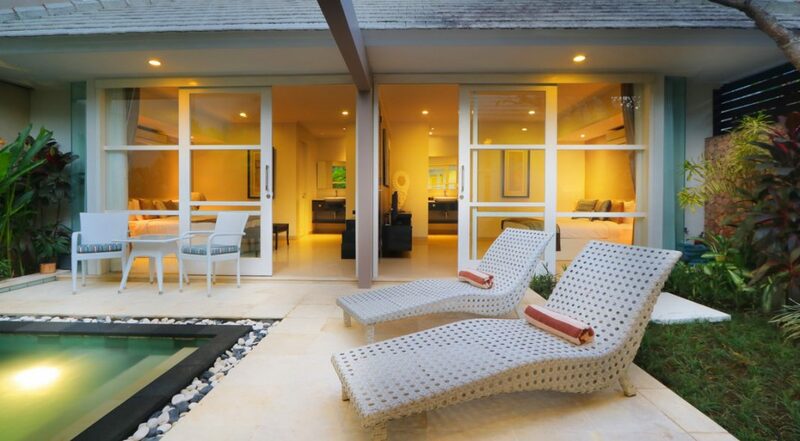 Here guests can walk to the most popular attractions such as Potato Head, Ku De Ta, The W Resort and some of the finest restaurants in Bali.The villas sleek and modern design is complimented by fantastic amenities and extremely warm and welcoming staff to make sure all your needs are taken care of for a truly memorable Bali Escape. 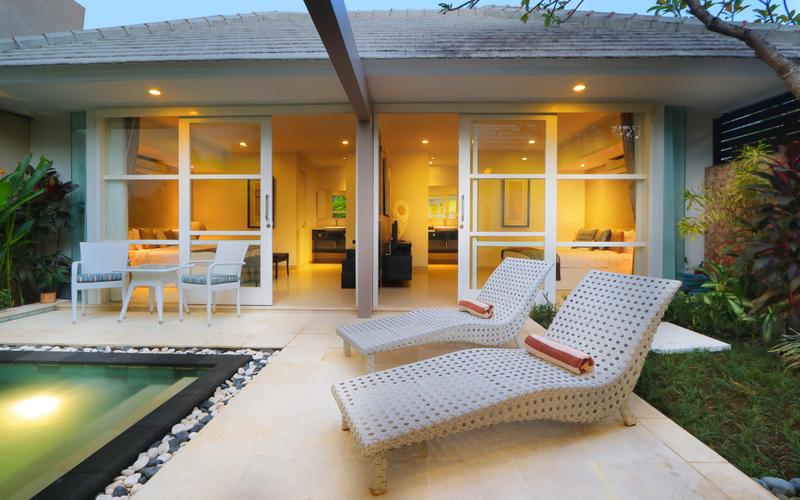 The outdoor area is ideal for a group of friends or small family to enjoy quality time together amid the tropical warmth Bali is famous for. 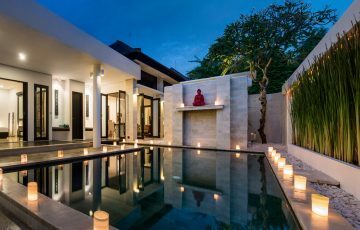 A high wall provides plenty of privacy and the pool is easily accessible from both the living and accommodation wings of the villa. 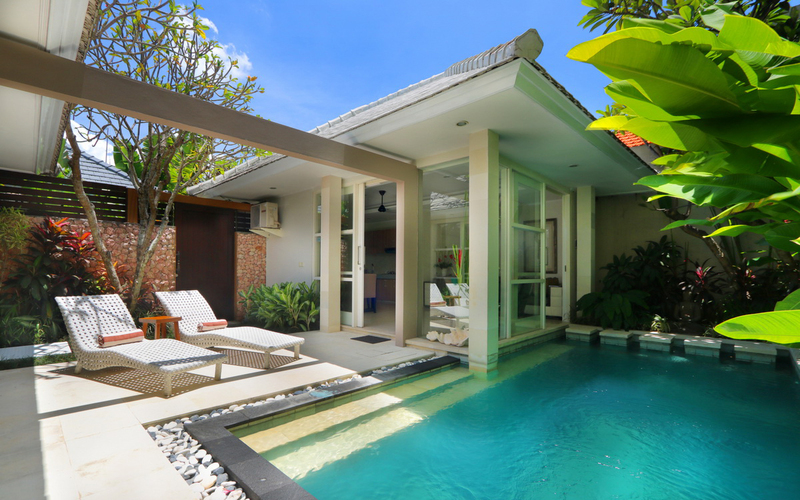 Sit back and soak up the sun on the poolside sun lounges as you unwind while the attentive staff happily serves you cold drinks and snacks, should you so desire. 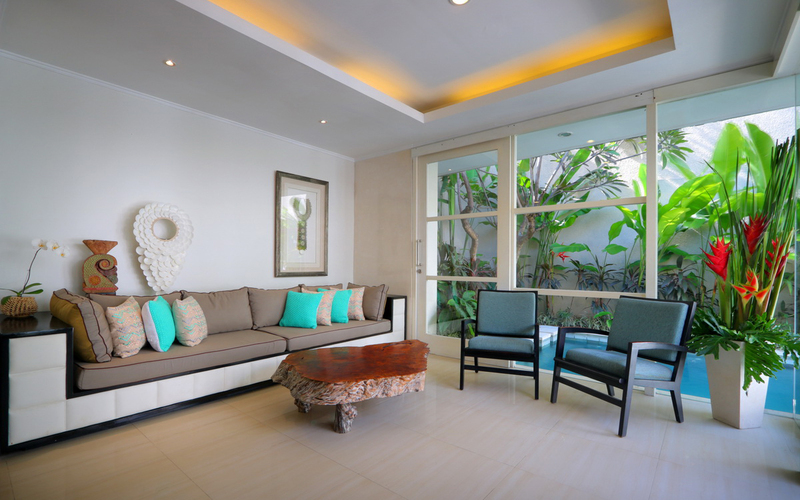 The living room is bright and airy, filled with natural light, directly by the swimming pool. 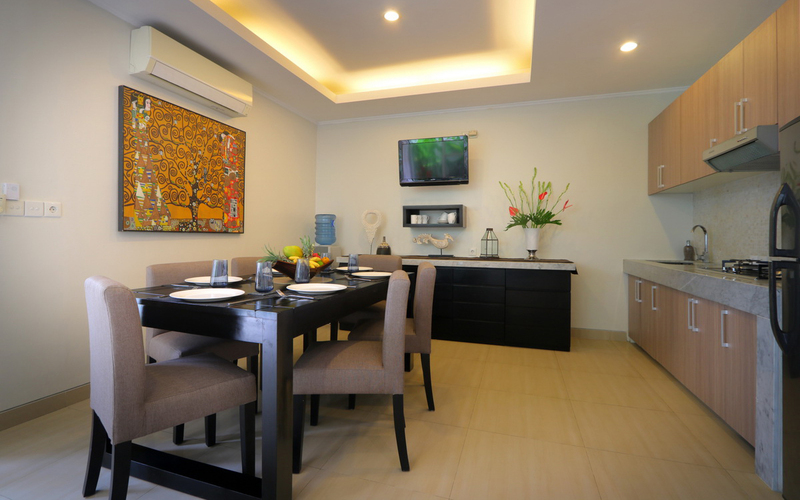 A modern galley style kitchen provides all your catering needs and a 6 seated dining table caters for additional guests and visitors during your stay. 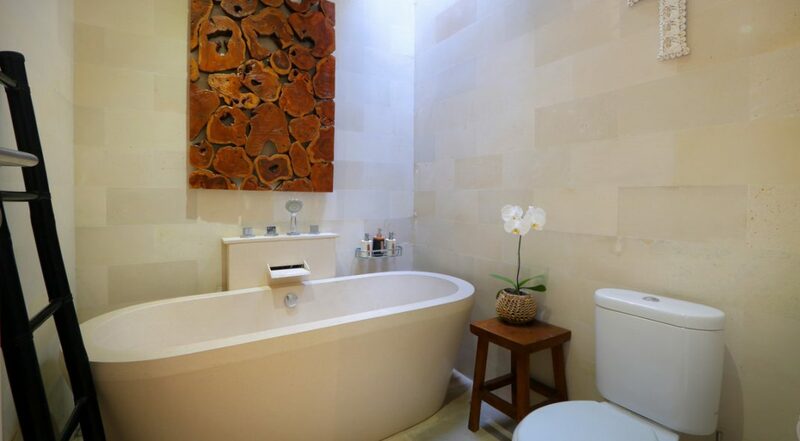 There is a wall mounted flat-screen TV with International cable and a large built in sofa for you to unwind. 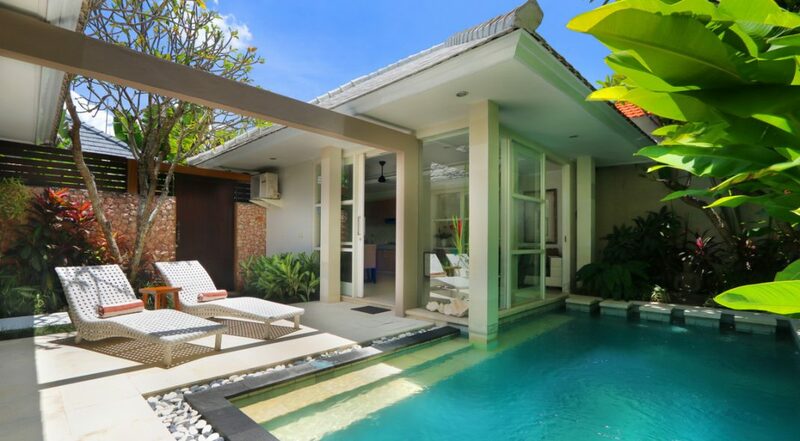 The villa has fast Wi-Fi and guests can enjoy air-conditioned comfort or tropical living by simply sliding back the large glass doors, the choice is all yours! 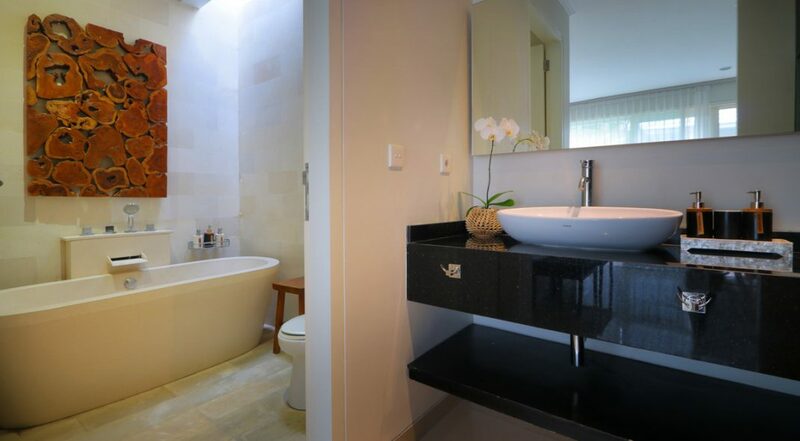 There are two spacious king size bedrooms with private en-suite bathrooms, one features a rain shower whilst the other an oversized terrazzo soaking tub. 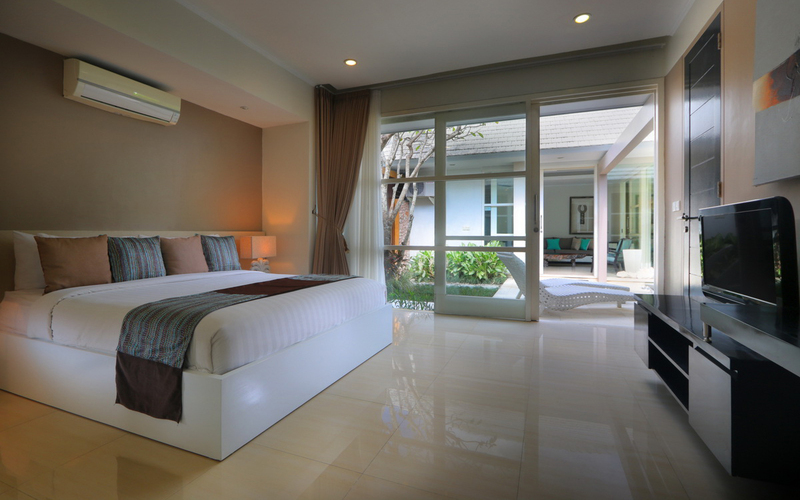 The rooms are air-conditioned with LCD TV’s/DVD and an interconnecting door makes it ideal if you’re travelling with children. 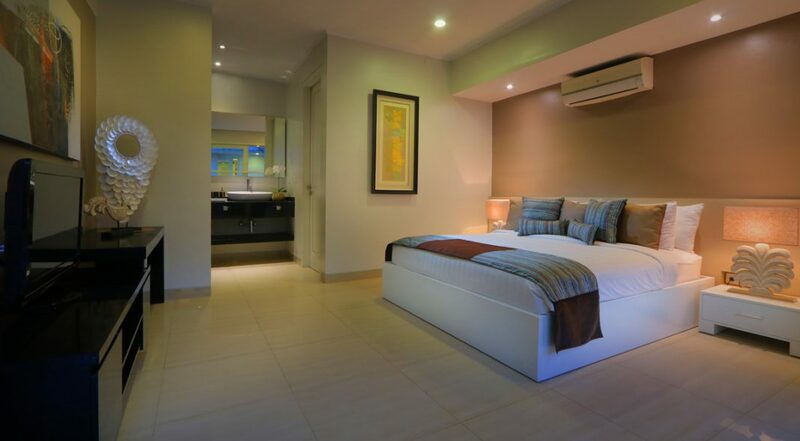 The warm and friendly staff at Villa White Pearl will make your holiday totally relaxing, daily villa cleaning and continental breakfasts along with additional services such as babysitters, in-house massages, restaurant and day tour bookings and all your transport needs will be fully taken care of by the staff. 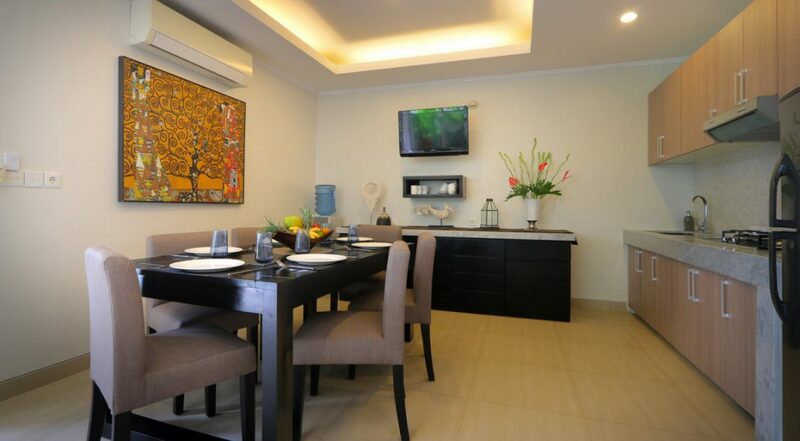 Villa White Pearl has everything to offer right at your doorstep, some of the finest restaurants including Metis, Sardine, Barbacoa and La Luciola are all within walking distance or a short scooter or taxi ride. 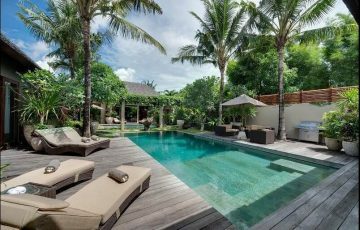 Take a leisurely 10 min stroll to The W Hotel or Potato Head where you can access the Seminyak Beach or just enjoy the swimming pools and great food options of the iconic tourist hot spots. And for the lady’s there is an array of boutiques and day spas for you to enjoy some much deserved pampering!! If you coming with kids and worried about where to take them for a meal, don’t. There are so many restaurants and cafes nearby that are all child friendly. To keep them entertained take them to the Finns Recreation Club or the Waterbom Park. Even better, the beach is close by for some surfing, swimming and walking. 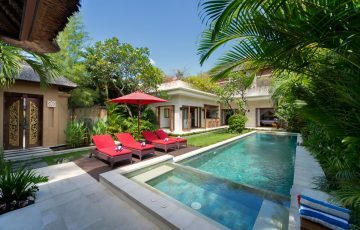 To view other Bali villas in this price range or see other 2 bedroom Seminyak villas please contact our reservation team or browse online. 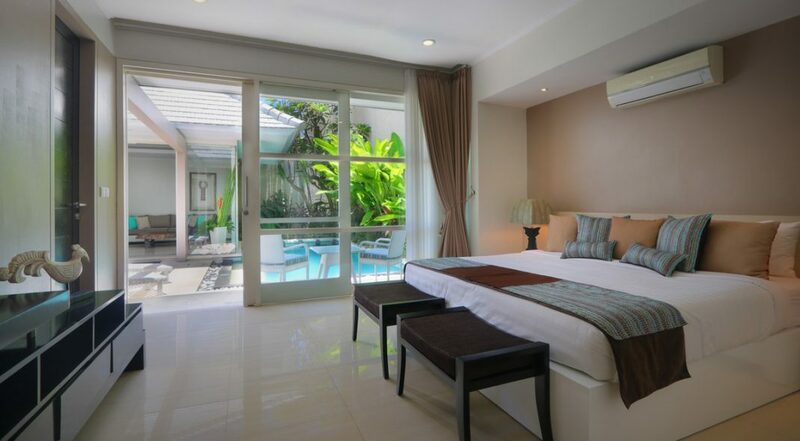 This is a popular Seminyak holiday villa so if your planning a trip to Bali during the Australian school or public holidays please book Villa White Pearl well in advance. 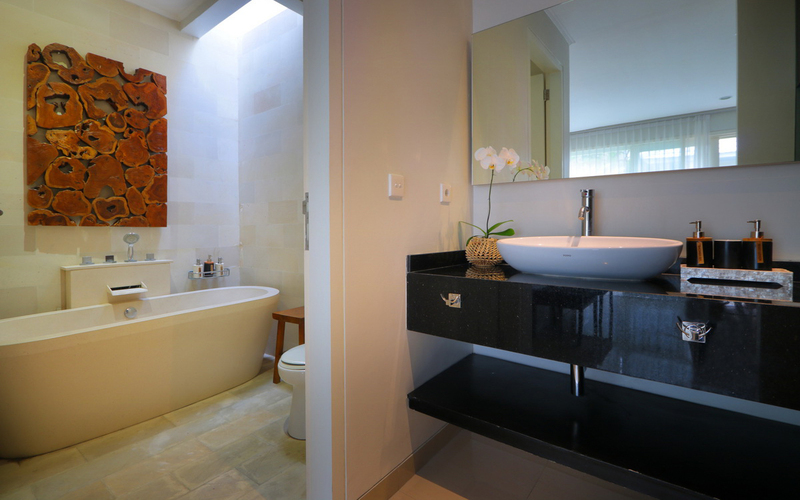 2 bedrooms, each having its own ensuite bathroom. 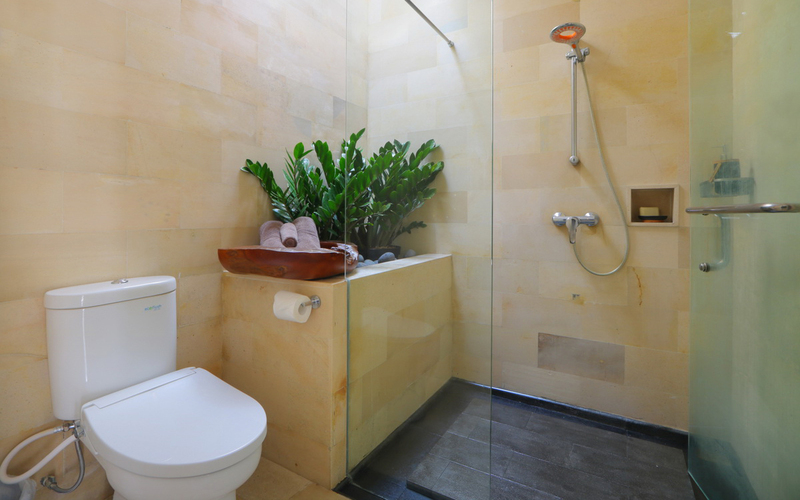 One bathroom has a rainmaker shower-head while the other has a deep terrazzo bathtub. 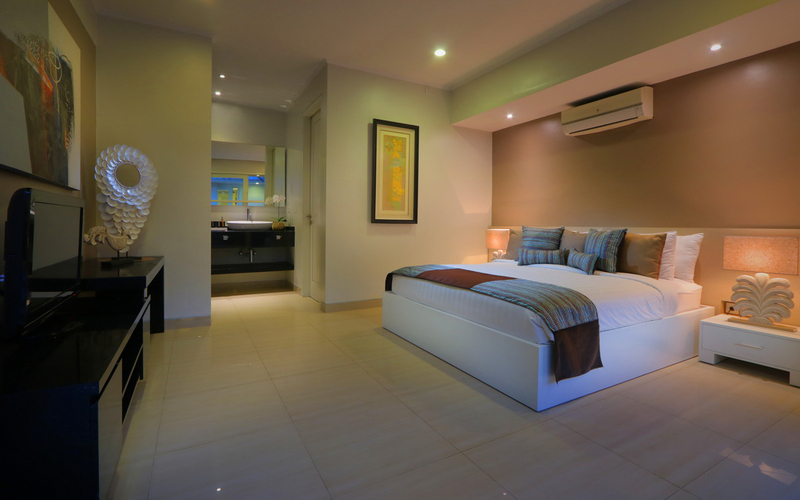 King size beds accompanied with flat screen TVs and DVD players in one room to keep you and your family entertained. Interconnection doors linking the two bedrooms is beneficial for families with kids. The open-plan living area adjoins the full-featured kitchen and dining area. 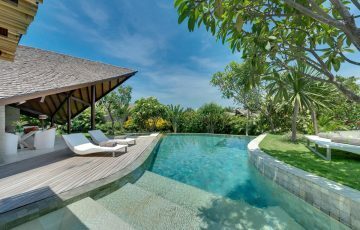 The property is nestled within a safe and secure private estate with a delightfully walled garden and a featured swimming pool. 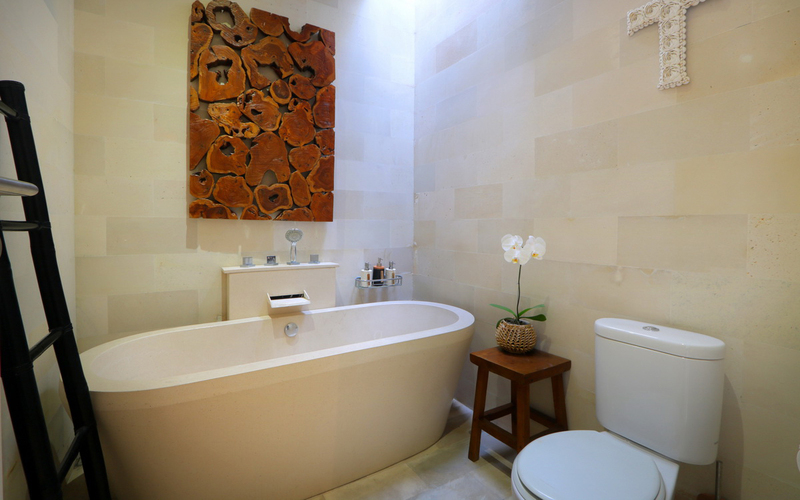 Sunbathing area is conveniently positioned and accessible from two sides of the living area. A living room with glass doors and large windows which will allow natural light to pass through. 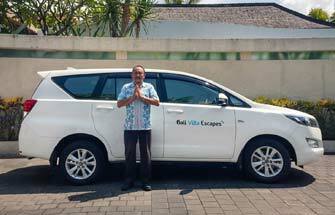 Villa Staff who are always ready to serve you and your needs. Very experienced nanny available, excellent for those with children and infants. Enjoyed the location and the fact that the villa was also really quiet. Lovely staff and very clean. Perfect for our holiday. Definitely happy to recommend it. For the price you get so much value here. Can't believe want a great find White Pearl is. Make sure you try some of the great restaurants nearby. Kids had a great time and in terms of privacy we had loads of it. 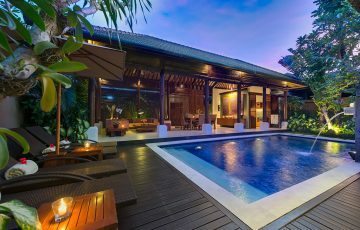 This is a very cool little villa worth every cent! Incredible location. So many good restaurants were close by such as Nook ( which we absolutely loved), Saigon Street and Naughty Nuris which the kids enjoyed. For the price I was so glad we found this place and we will be back. FUN TIMES!! 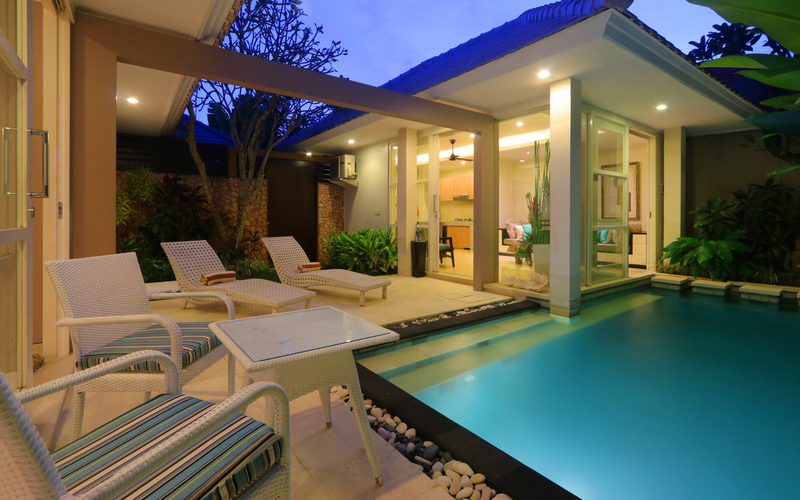 - definitely one of the best villas in Seminyak we have stayed in. 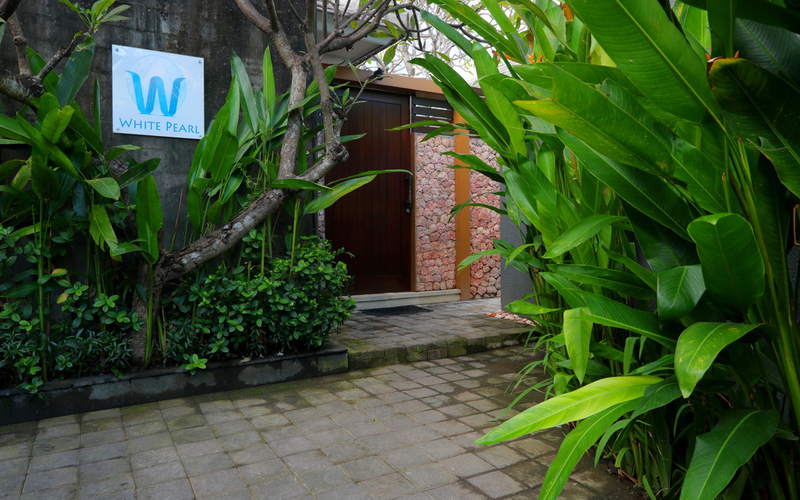 This was our second time here and because we come to Bali a lot there will be a third.